Megyn Kelly, the television personality who once used her massive platform at Fox News to argue that Santa Claus could not be portrayed as black, used her NBC show on Tuesday in order to cover for her former employer’s history of racism. 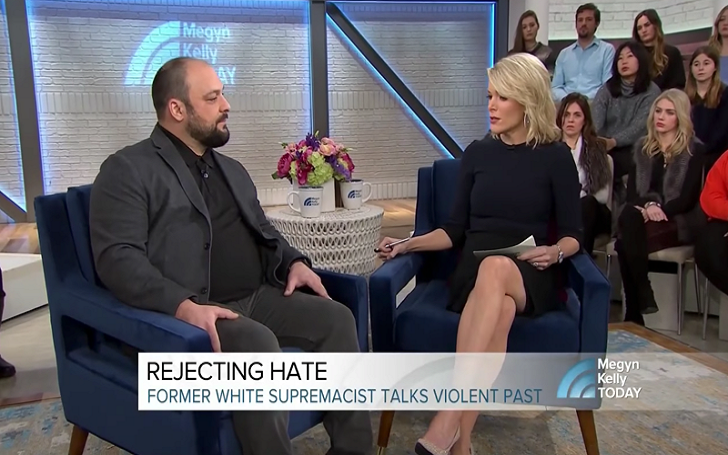 Speaking to a repentant white supremacist Christian Picciolini on her NBC show, Megyn made a point of defending her former network when the conversation deviated toward President Donald Trump’s coded language during the 2016 campaign. I do believe that there were dog whistles. But to somebody like me, I can tell you that’s a bullhorn. I heard them loud and clear. When they referred to globalism, I knew that they were talking about the global Jewish conspiracy. When they use terms like ‘the liberal media,’ those are terms we used to use but we use to call it the Jewish media. Can I just say, having worked at Fox News for 13 years, we used to criticize the MSM, some would call them the liberal media and it didn’t mean that. It meant, you know, left leaning, or people who were not open minded toward the views of half the country, conservative people. That’s also the power of their marketing. They can take words that are hateful and massage them to get them into the lexicon to make it normalized. So you pick something that is okay, a term that has nothing to do with white supremacy and you adopt it. And to your people, it has a very different meaning. Like, with a wink and a nod. Those were all things Megyn said she can not run away from such remarks on her new, more mild-mannered NBC show. For clues as to why President’s dog whistles found such a big audience among white supremacists, Megyn may want to revisit her own role in conveying them to millions.